Warwick uses Technora fiber from Tejin to enhance the performance of many of our products. Technora may be used as a fiber to strengthen fabric used in cut and puncture resistant materials. Warwick specializes in using Technora fiber in sailcloth as well as aerospace applications. Technora fiber offers high tensile strength and modulus, and fatigue, heat, and chemical resistance. The fiber is used in many industries to reinforce cables, ropes, hoses, transmission belts, reinforced rubber products, and composites. "Teijin Limited is also investing ¥1 billion to expand annual production of Technora para-linked aramid fibers at its Matsuyama plant in western Japan by 600 metric tons. The expansion will lift annual capacity for Technora to 2000 metric tons. Technora has advantages in physical properties such as a slightly higher tensile elongation, fatigue, and chemical resistance. 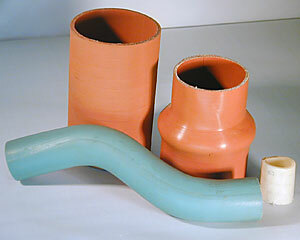 Technora is often used to buttress cement and MRG (Mechanical Rubber Goods)."